Cutting-edge innovation of TASIL, ease of its use and quick and measurable results it delivers, make it quickly winning the trust of new clients. The ability to send marketing messages via SMS to a precisely-selected group of recipients, in real time, taking into account their current location, is an unquestionable competitive advantage of our solution over other online marketing platforms. Only TASIL allows precise targeting of advertising messages due to combining customers location data at a given moment with information about their behaviours and preferences. TASIL can reach the right recipient at the most appropriate time, for example when a person passes near a store, which services he or she was looking for online. 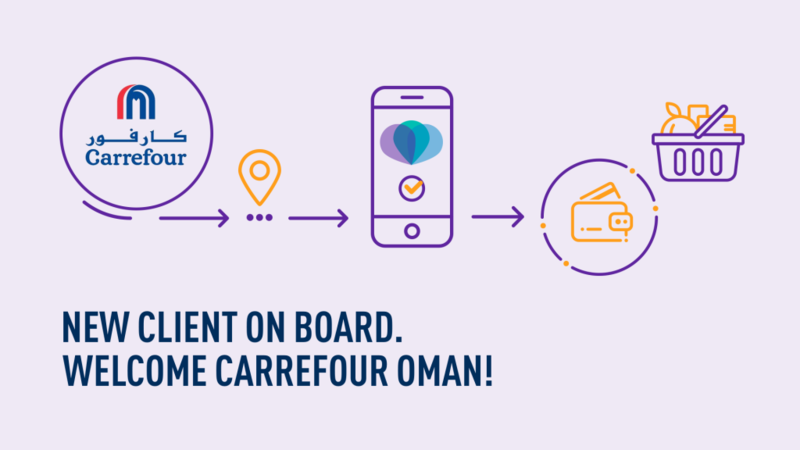 A giant retailer Carrefour Oman, being aware of the challenges of rapid digitization and sophisticated needs of the digital natives, decided to use TASIL Oman services. The strategic partnership with the first and leading provider of integrated telecommunication and ICT services in the Sultanate of Oman, Omantel, whose Big Data set is a fuel for TASIL, allows Carrefour Oman to significantly increase the number of its customers. We consider this new partnership a big success. “We are enthusiastic about working with the largest retail network in Oman and we believe that TASIL is just what Carrefour needs. We are also sure that the innovative campaigns that are going to be conducted with TASIL will result in increased loyalty and customer satisfaction of existing Carrefour customers, but will also be an incentive for new customers to visit Carrefour. With offers suited to their needs and transparent information on prices, we are going to make the life of Oman citizens easier. ” said Krzysztof Goworek, Chief Innovation Officer at TUATARA, the company, which created and brought TASIL to live in Oman. We see enormous potential in this long-term cooperation, that is one of the steps towards a marketing revolution in Oman.